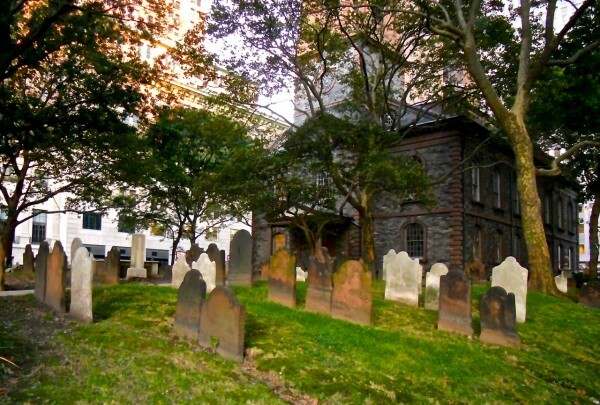 Go Ghost Hunting In Some Of The Best Haunted Houses In New York City! New York City has plenty of world-famous landmarks for tourists to visit, from the Empire State Building to Times Square to the Brooklyn Bridge. But for those of us who are of a more macabre bent, one of the largest and most legendary cities in the world has tons of dark stories to tell. Millions of people have come to this wonderful town and some of their stories end tragically. So, for you ghost hunters out there, here are six very interesting haunted places. 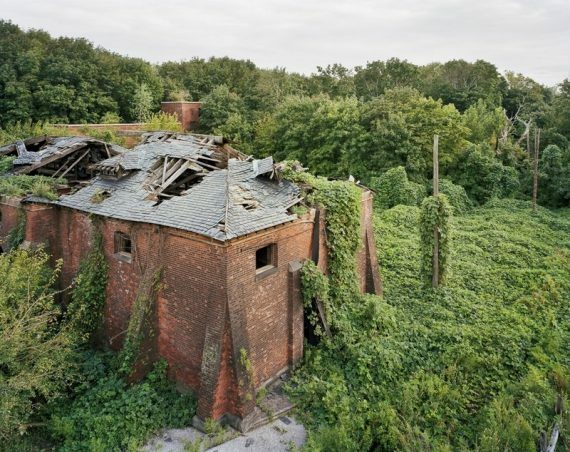 A small island just off the Bronx, North Brother Island was a hospital and sanitarium for many unfortunates over the years. As waves of immigrants came through Ellis Island, people with communicable diseases were held on the island, often against their will. The infamous Typhoid Mary spent the remainder of her life there. Later on, injured veterans of World War 2 were sent to the island to recuperate. The building remain on the island though many have fallen into disrepair. With all the sickness and despair in the island's past, it's not surprising that people have encountered unexplained entities on North Brother Island. Washington Square Park is one of the most vibrant spots of Lower Manhattan. In the heart of New York University, the park is full of students socializing and locals out for a stroll among the fountains. But the park shares a similar history with a lot of of other famous New York green spaces; it was originally used as a potter's field for the hundreds of poor people who couldn't afford a cemetery plot. Some 20,000 people are buried in Washington Square Park, and a large elm tree in the north west corner of the park was supposedly used for executions. During the Revolutionary War, deserting soldiers were hung from the tree as were other criminals. Some nights people claim to see ghosts dressed in Colonial Era garb around that tree, perhaps reenacting their deaths for all eternity. Staten Island is no stranger to the paranormal. This quiet community has two legendary spots that ghost hunters and urban spelunkers love to explore. The first is Staten Island's Farm Colony, a tuberculosis colony whose residents grew food for themselves and other institutions nearby. 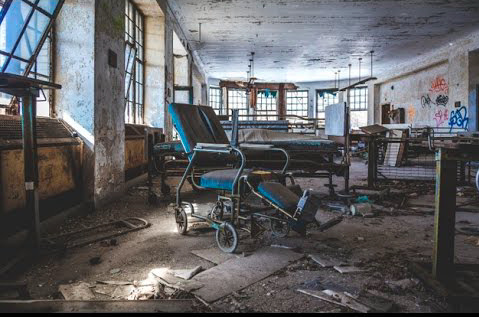 The second is the Willowbrook State School, a place ostensibly meant to house people with severe mental health issues, was shuttered after a devastating news report by Geraldo Rivera exposed the cruel living conditions of the patients. Murders committed by former patients, including one that inspired the Cropsey urban legend, make visiting these sites a chilling experience. One of the oldest cemeteries in the city, the ghost haunting St. Paul has a lively history. According to the tale, the 17th century British actor George Frederick Cooke had run up considerable gambling debts. In order to get some money back, he sold the rights to his own head so that after he died it could be used for medical experimentation. After his death, people in the neighborhood started reporting the specter of George Frederick Cooke was haunting the cemetery, looking for his missing head. It's a very good lesson about not letting yourself get over your head with gambling debt. Not every haunted house story is horrifying. Some help highlight the colorful history of New York City, and few specters are more beloved than the Gay Street Phantom. 12 Gay Street is most famous for being a former Prohibition speakeasy called the Pirate's Den. The house was later bought by the corrupt but beloved New York City mayor Jimmy Walker for his mistress, a Ziegfeld Girl named Betty Compton. This mix of colorful characters and fascinating backstory make for a lively haunting spot. People have claimed to see both the ghost of flappers entering the building and the Gay Street Phantom, a dapper gentleman dressed in a top hat and cloak. So the next time you're in the West Village, pop by the Pirate's Den and have a cocktail and dance with the Gay Street Phantom. No discussion of haunted Manhattan would be complete without mentioning the notorious House of Death. Located on West 10th Street, the house first gained notoriety after the death of six year old Lisa Sternberg. The little girl was beaten to death by her father, a well-respected lawyer. The crime shocked and horrified the community, and other people who have lived in the townhouse have reported the girl's spirit. Paranormal investigators have counted up to 22 ghosts living in the house, one of whom is the legendary author Mark Twain. He lived in the house from 1900 to 1901 and claimed to have experienced paranormal phenomena himself. According to ghost hunter lore, his spirit can be seen ascending the staircase in his famous white suit. Got any more favorite haunted sites from the Big Apple? Leave them in the comments below, and please share this article to anyone who loves the paranormal.